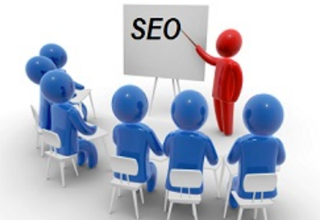 SEO is a fully systematic marketing strategy to build a traffic downline for a website. You have to consider the step by step process to be successful with your SEO gesture. First we should talk about standard seo practices and performance. Your content is the food or, nutrients of your site. Say, you have a website on gaming. The visitors who will come to your site are game players. So, you need to create and present contents that they would be looking for. However, creating the content is a very important issue, but if you have informative posts,you don’t have to worry about anything else. But, the marketing can only get your visitors pay visit to your site. I mean, you have to let them know about your posts and contents. At least they must know that you provide something that they have been looking for. Knowing the audience correctly should be your first concern before you start marketing your site. If you can figure out the thoughts of the people coming to your site, your job is completed almost 50 percent. The best way to sort this out is thinking like them. If you know what your target audience are looking for, you can prepare yourself for that. Lets talk about some direct ways to learn from your visitors. You will always get some people who are interested to let you know about your site and what they have been looking for. There are some survey sites which you can use to reach your customers. You can talk to them through this. You can use some premium survey sites like survey monkey. Other better choice of option could be questioner or poll system. Usually the social content sites and forums use these types of communication with their members. The last option can be practiced by anyone, but this one seems not so useful compared to others. You can directly mail your visitors and ask them about their needs and requirements. If you find few committed customers, they can really help you. A new concept, which hasn’t yet been so popular. Personally, I think this has been the smartest technique to quench the thirst of your visitors or, to communicate with them. Actually, I have two different ideas. First, you can arrange a webinar in your site. Here, you can contact with your visitors directly and they can through their queries to you directly. Many service providers can help you arranging these stuffs. The rest one is a little more expensive compared to the rest- you can arrange an online customer service. You can hire some virtual assistants or customer service providers and get them work for you. Learn your customers before you conduct a business. Get to know what your visitors are looking for and serve them accordingly. This can only get your more client, more traffic and your conversion rate will grow high. Conduct research before you do anything. And, remember one thing, if you want to make money online, you have to conduct with professional point of view.